The World Series by Nissan championship appeard on the radar in 2002. Initially established by spanish RPM organisation it ran successfully until 2004. The one-make Dallara T02 “Super Nissan” chassis in combination with the 3.0 V6 A.E.R powerplant and 6 speed sequential gearbox soon proved to be closer to F1 in terms of driving style than the FIA F3000 chassis. 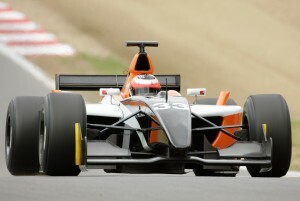 The aerodynamics of the WSbN car were entirely different to F3000. Whilst F3000 was affiliated to F1 using a step floor and very basic aero, the WSbN utilised ground effects, which boosted the downforce numbers and increased the cornering speeds. In 2005 Renault took over. The newish T05 chassis was basically an updated T02, now using modified aero with about 25% more downforce, a 3.5 V6 Solution F powerplant and carbon brakes. 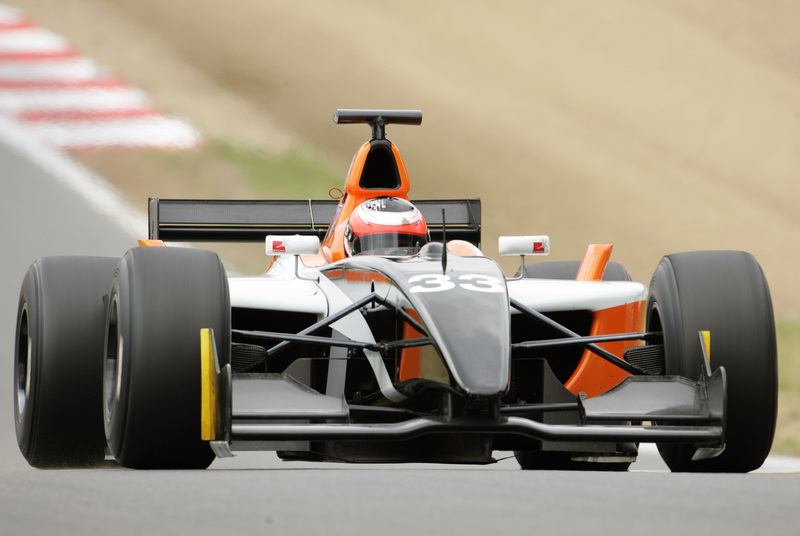 The latest 2007 chassis is still the benchmark for all the World Series and F3000 cars. Dallara T02/T05 hybrid with 3.4 V6 AER engine, 495 BHP @ 8500rpm, pneumatic paddleshift, TC, carbon brakes and very large spares package, blue met.